#100703 - Great for Outdoor Use! This white, non-adhesive material is designed to be printed on a laser printer. It has a caliper of 10 points and is tear resistant. Its construction is a lamination of polyolefin sandwiched between two layers of outdoor waterproof paper. 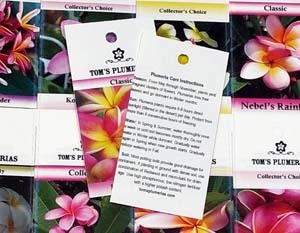 The material is idea for converting into garden and commercial plant tags, outdoor maps and much more. Color laser printing is excellent on this material. Custom perforation and diecutting is available on a custom quote basis. Microperfing/scoring die costs.